Dead Cells, by Motion Twin, is a promising attempt at combining two genres I thought had no business being together: Metroidvania and roguelike. Turns out I may have to rethink my prior assumptions and beliefs. Dead Cells delivers a new type of experience that aims to find the middle ground between two seemingly contradictory genres. As a preface, this is a different experience from other Metroidvanias (think games like Hollow Knight and most Metroid games). The elements of the sub-genre are: abilities that can unlock new areas, interconnection in the world, and an emphasis on exploration. However, the roguelike elements make a huge difference. 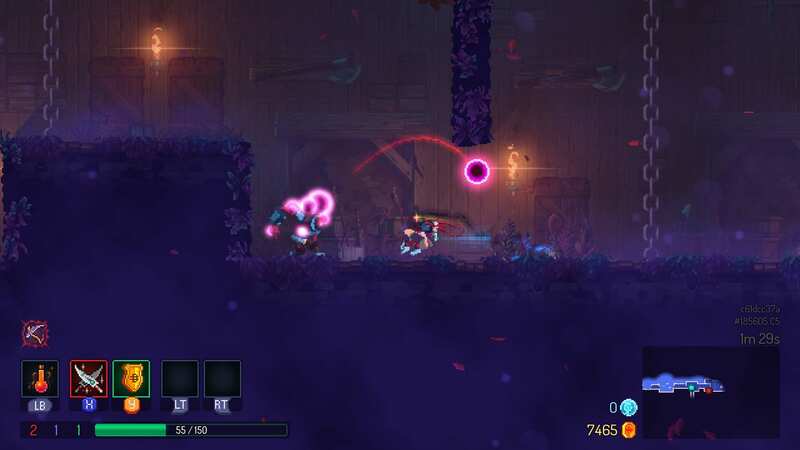 Fast-paced combat – Dead Cells is fast. Really fast. If you’re used to playing Castlevania and Metroid, this may come as a bit of a shock at first. The overall speed of Dead Cells is greater than most other 2D platformers. The best comparison would be Mega Man X. There is a similar feel of constant forward momentum and bursting through enemies. Dead Cells also rewards those who play this way. Your movement speed increases as you kill more creatures. It’s a rush of adrenaline for your character as he plows through waves of mobs. Awesome. Varied playstyles – While going fast is the most efficient way to play, you have some other options. Other than melee weapons you have two other weapon types: shields and ranged. The former is used for parries, enabling a more defensive style of play. If you’re a fan of picking out enemies from afar, there are plenty of ranged weapons. Keep in mind that neither of these options can entirely replace a melee weapon. Always have a sword on hand for when you get surrounded by a horde of beasts. There are some subtle differences between weapons; not all are drastic. For example, a long sword will do a basic two-hit combo, while daggers result in a rushing three-hit combo. Each melee weapon also feels a bit different to use. It’s hard to describe in words, but think certain weapons being faster or slower. It’s a roguelike – Surprisingly, the roguelike aspects of Dead Cells work out well. You start from scratch every time you die and the layout of the map changes. This makes every run feel different from the last as you take different paths or find new items. You can earn special upgrades to counter some of the randomnesses. One such ability is replacing your starting sword with a better weapon. While you don’t get to select the exact weapon (that’s still random), it’s an improvement over the basic sword. Dead Cells maintains a natural level of progression like any other game. Some areas have tougher enemies than others and need adequate levels of preparation. The roguelike elements are there to keep every playthrough fresh and exciting. Pixels are in this year – I love pixel graphics, but it’s starting to get a little tiring. That being said, Dead Cells looks gorgeous. There are several areas that each look distinct and stunning. No doubt this particular art style has evolved over the past few years. Dead Cells has some of the best visuals on the market for indie games. My only critique would be uninspired and lackluster enemy designs. Procedural generation – Earlier I praised the procedural generation, saying it adds freshness to each playthrough. However, with it comes a fatal flaw. There is no intentional and well-thought level design. If a game has individually crafted levels, you can expect them to have a feeling of natural progression. As a comparison, consider Hollow Knight. It’s a Metroidvania with a predetermined structure and vision. As a player, you familiarize yourself with the world and gradually uncover its secrets. There is a greater sense of immersion. In Dead Cells, since the world is constantly changing, you don’t get that feeling. The added replayability has come at the cost of creating a thriving game world. Platforming – Naturally, the platforming aspect of a 2D platformer is a core aspect of the total experience. This is where the procedural generation hurts Dead Cells once again. There are few challenging platforming sections that take advantage of the game’s pace and constant momentum. What few areas of platforming there are won’t test your skills. Part of the problem is your character’s too good at maneuvering. You have a double jump and the ability to grab ledges. The level design doesn’t complement your parkour skills leading to some underwhelming obstacles. It’s a shame, too, since the controls are tight and seem perfect to tackle difficult jumps. Inconsistent difficulty – Once again my complaints can be attributed to the roguelike aspects of Dead Cells. For some, this may not be a major issue, but I felt it worth mentioning. Your experience with each playthrough becomes too dependent on what weapons you find. If you find powerful swords and shields, even the toughest enemies will kneel before you. Other times you may end up at the first boss with the starting sword in hand. It’s frustrating when you don’t get any good loot along the way. Conversely, when you get some of the rarer equipment, you forget about those tough times. 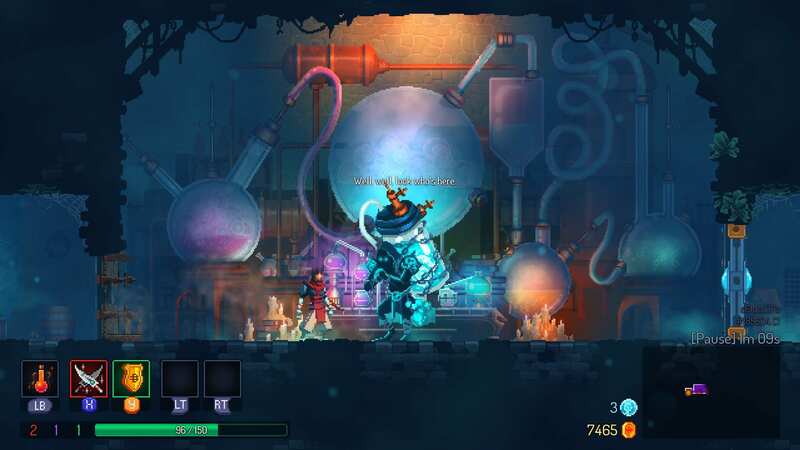 This isn’t a major issue with Dead Cells, but it’s something to keep in mind. Music – The music isn’t awful or terrible. It’s actually a decent soundtrack, but nothing more. I was hoping for a grander OST that would enhance the atmosphere of the game: epic boss themes that send chills down your spine and get you hyped. 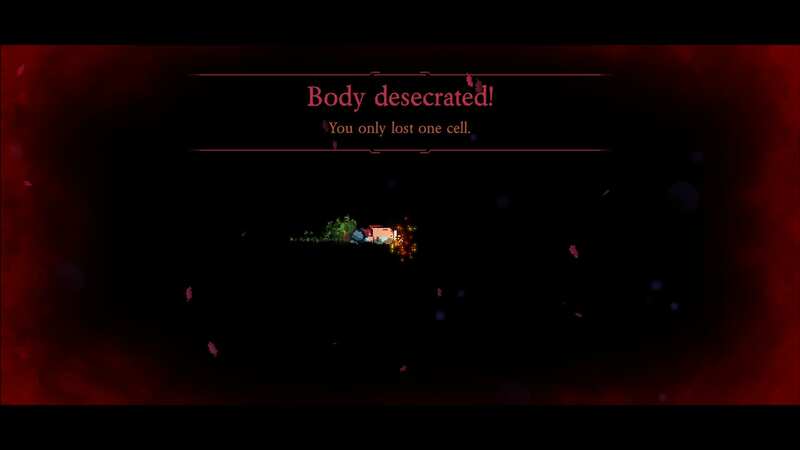 Dead Cells doesn’t quite scratch that itch. I should mention that I’m being quite harsh on the music, but I was expecting a lot better. My time with Dead Cells was an enjoyable ride. There’s a lot of great features and it’s a game you can pick up and play. It’s still in early access but there’s plenty of content to justify the purpose. 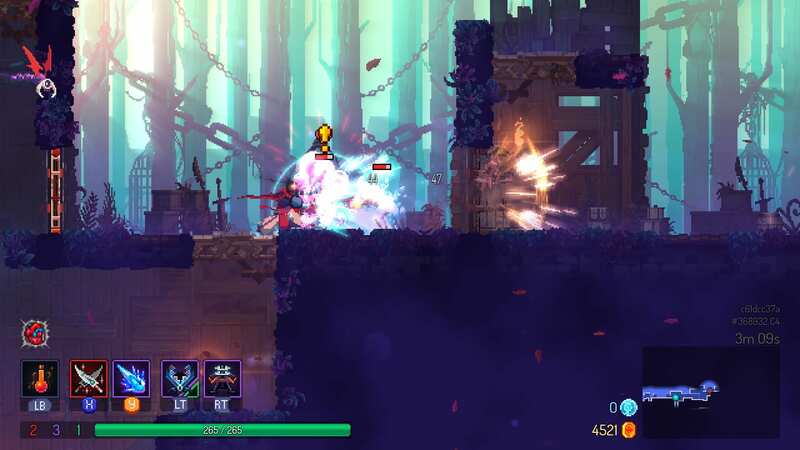 When writing this article, the developers announced that Dead Cells will be entering a full release on August 7. Whether you should get this game or not depends on what you’re expecting. Dead Cells is a roguelike at heart so only purchase it if that’s what you want. While it may be a Metroidvania, it is significantly different from the typical game of that genre. If you want the next Symphony of the Night or Metroid, look elsewhere. 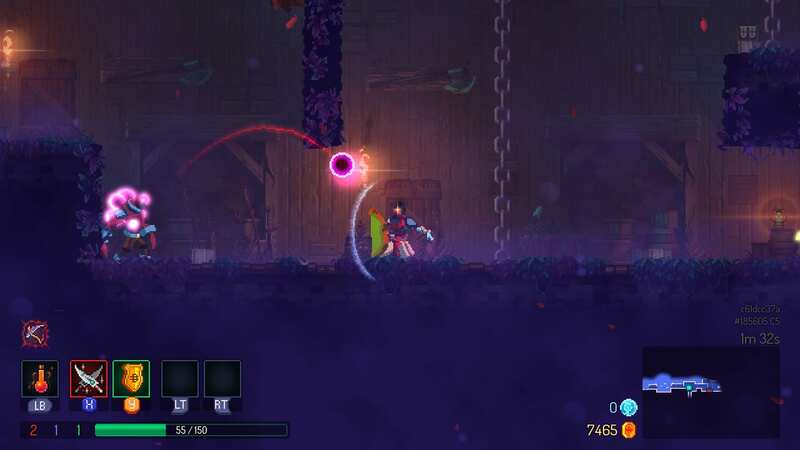 Arshad covered Dead Cells on Steam with a code provided by the developer. The game will also be available on Switch, PS4, and XONE come August 7, the same day the PC version leaves early access. It is also available on GOG.